Convergence Training are workforce training experts. Click the links below to learn how we can help you. Hey-What’s a Learning Management System (LMS)? We’ll list and explain some ways an LMS can improve your new employee onboarding below, but let’s start with this brief video that explains what a learning management system (LMS) is. Click here to learn more about the Convergence LMS. And now that we know what an LMS is, let’s move forward. 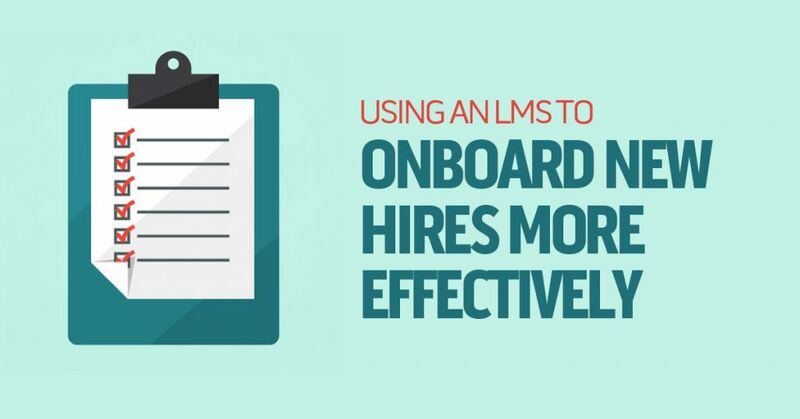 There are many ways using an LMS can improve your onboarding program. Let’s look at a few of them. Without an LMS, companies often rely on training of one or two types when onboarding new employees. For example, they may use just instructor-led (face-to-face training), or they may use just written materials (such as Word documents and PowerPoint presentations). Or maybe they’ll use a combination of the two, at best. But an LMS can make it easier for you to use a blended learning solution instead. This lets you make use of e-learning, video, web-based training, written materials, face-to-face discussions, and more. And having the freedom to pick and choose training types will allow you onboard new employees more effectively while spending less. Without an LMS, it’s easy to accidentally provide different onboarding materials to each new employee. For example, you might forget to cover one important training topic with one employee. Or you may include all the necessary topics, but maybe with one employee you accidentally grabbed an old version of a specific document instead of a new, revised version. Putting the onboarding materials into an LMS and assigning them to all new employees solves this problem. You can be sure each employee receives the same consistent and standard message. And you don’t need to be told how important it is to provide a consistent, standard training message in your onboarding. Read more about using learning management systems and elearning courses to deliver standard, consistent training messages here. It’s great to be able to provide the same onboarding materials to everyone. For example, you may want everyone to read your company manual or to read your drug and alcohol policy. But in addition to those “core” materials, you may want to assign different training materials to new employees based on their specific job role, title, or department. For example, maybe your production workers should be assigned some safety courses that aren’t relevant for your accounting staff. And maybe your accounting workers should be assigned some training about Internet use that’s not relevant for your production workers. Your LMS should make it easy for you to add these training assignments to specific departments or teams in addition to the “core” onboarding materials you’d assign to everyone. Delivering onboarding training to new employees in a haphazard, chaotic manner risks sending the wrong message to your new employees: although we’re covering this material now, it’s not something we really care about. And that’s not what you want, obviously. Presenting an organized, well-structured onboarding sequence through an LMS makes it clear to your employees that the materials are important to you. And that helps set expectations that your new employees should pay attention to and follow the onboarding materials. Read more about teaching employees standard procedures here. You work hard, invest a lot of time, and put a lot of money into finding good new employees. You hired them because you value them and because you think they can do the job well. So why welcome them to the company with a half-baked onboarding program? Does that send a “Hey, we’re excited to have you on your team” message to the new employee? No, it doesn’t. What it does suggest to the new employee is they’re not so special after all. Just another cog in the machine. Instead, why not welcome the employee with an impressive, well-planned, comprehensive onboarding delivered through an LMS that will make them feel valued? Employees who feel valued are more likely to be engaged, to work well, to stay with you for a long time, and to bring the value you’re looking for. Read more about the importance of lifelong learning for modern employees here. Making sure you’re getting the right onboarding materials to your new worker is important, but it’s not the only important thing. You’ll also want to deliver the materials at the right time. Do your employees need to complete training before the first day they arrive at work? Do they need to complete training after they arrive at work but before they hit the production floor? Do they need to complete some materials now and other materials at a later point? With a robust LMS, all of these onboarding delivery needs can be managed with only a few clicks. Many companies keep records of completed training–including new employee onboarding–in a confusing series of paper-based documents (which are stored in manila envelopes in metal filing cabinets in various out-of-the-way places), Excel spreadsheets, and Access databases. If this is you now, or if this has been you in the past, you know what a mess this can be and how inefficient it is. On the other hand, companies that use an LMS to assign and deliver training often can’t stop talking about how easy tracking completion and running reports becomes. Without exception, they swear they’d never go back to the old ways. What good are training materials or even records of completion if you can’t tell if new employees are actually learning? You can talk to you’re blue in the face without knowing if a new employee understood their onboarding. Likewise, you can sit them in front of countless videos or have them read as many documents or PowerPoints as you want, but you won’t know if people are learning without some form of assessment. With an LMS, you can easily create a quiz, assign and deliver it, and track answers, percentages, and completions. This will help you determine if each individual employee understands the material appropriately. It will also help you identify points when your own onboarding materials aren’t as effective as you’d like. Read more about evaluating the effectiveness of training here. Your new employee onboarding materials include the core values and foundational principles of your company. Why should you deliver them in a hodge-podge of generic documents? Your LMS should allow you to brand your URL, to display your company name and logo, and even to brand the individual courses within the LMS. Why not really make your onboarding materials your own? Your workplace is special–show new employees how proud you are of it. Using an inefficient method to onboard a single employee chews up quite a bit of time and money, although you may not notice it. But multiply that same investment for each new employee over a year or several years, and you’ll see how much money you’re wasting. And that doesn’t count the indirect expenses you suffer as a result of sending a poorly onboarded employee to his or her job, or the even greater costs that come with losing dissatisfied, poorly trained employees and having to hire replacements over and over again. Get an LMS and you’ll immediately cut back on all that wasted time and money. Read more about saving time and money with an LMS here. By now, you should see there are many benefits to using an LMS when onboarding your new employees. The question remains, though–which LMS? To be honest, there’s no single LMS that’s right for every company. If you’re decided to look into getting an LMS to onboard new employees and manage your other training needs, it’s a good idea to take some time to evaluate your options carefully. 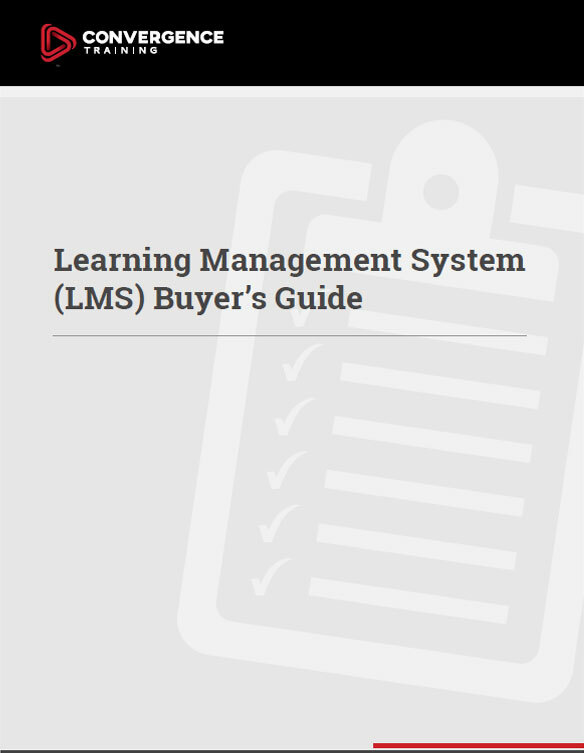 To help you with that, we’ve created an LMS Buyer’s Guide complete with a downloadable checklist. Click the link to read the buyer’s guide (where you can also download the checklist) or just download the checklist below. Hope it helps–good luck in your search. Let us know in the comments field below if you have any questions.